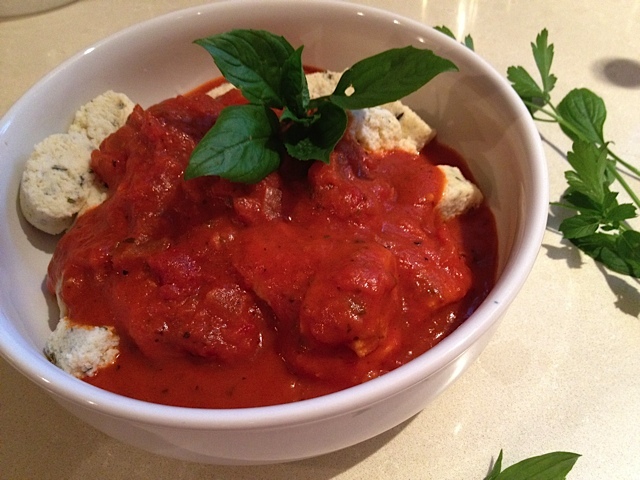 Tomato meat sauce, in it's many variations, is a famous Italian staple. I have a special love for this particular recipe because I was taught it as a student many years ago. happy life. 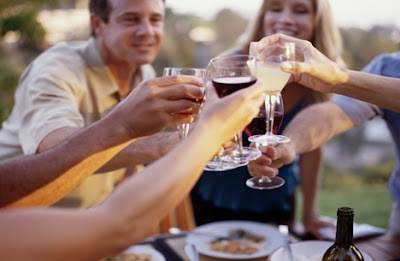 They may not have had much in the way of luxuries, but there was always lots of red wine and delicious food, and I was always included in their boisterous family meals. Later, when I could afford a place of my own, I often made the recipe they taught me, and it has been a staple for me ever since. These days I don't eat noodles but I have found a substitute that my family and friends seems to enjoy just as much, and I hope you will as well. Brown beef and sausage in a skillet. Add to the crockpot. Brown the onions in the olive oil. When almost brown add the chopped garlic, cook for 1 minute, then add to the pot as well. Do not overcook the garlic or it will burn and taste bitter. Add the rest of the ingredients, mix well, and if you are getting this ready the night before, refrigerate. - Cook on high for 4 hours or low for 6 to 8 hours. UPDATE : Now, thanks to a wonderful ebook I've found, I am again eating noodles! If you want home-made noodles to eat with your meat sauce, please check my post on Paleo Pasta for a great recipe. This is not my recipe, and I have seen it on several different websites and blogs, so I have no idea who deserves the credit. Whoever it is has given us a great substitute for pasta. 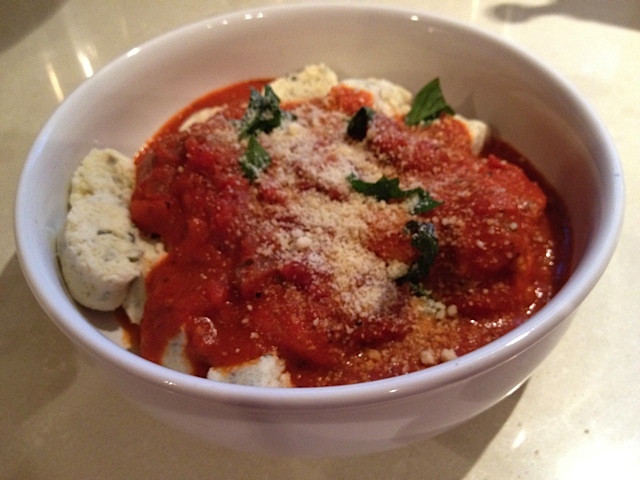 Gnocchi, in case you don't know, are an Italian version of dumplings. I was originally taught to make them with wheat flour but I find that coconut flour works just as well, and mixed with parmesan cheese you don't taste the coconut. These are a great substitute for pasta and only need the addition of a green salad (and red wine if you're so inclined) to make a great meal. 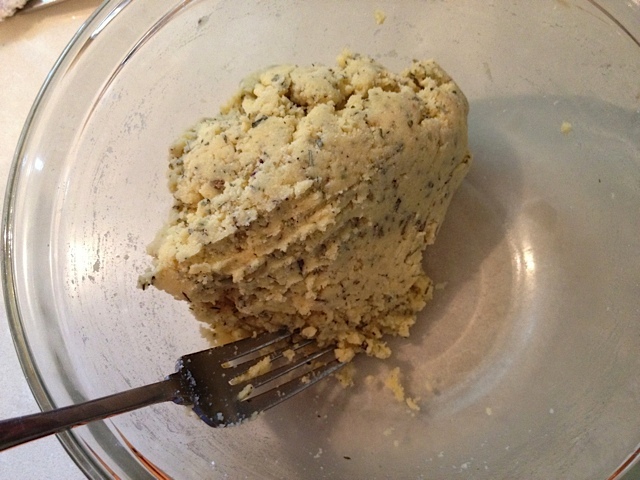 Blend the coconut flour and beaten eggs well, then add the Parmesan, Italian seasoning, garlic powder and salt and mix well into a dough. If you are finding that your gnocchi fall apart when you cook them, the problem might be that you haven't incorporated the coconut flour in well enough. Coconut flour does sometimes tend to clump, so you can try sifting it over your eggs a bit at a time and mixing it in that way. As you can see by the photo the dough should be reasonably stiff, but still a bit sticky. If yours is too runny, add a bit more coconut flour until it looks more like this. However, don't make the mistake of adding too much too soon. 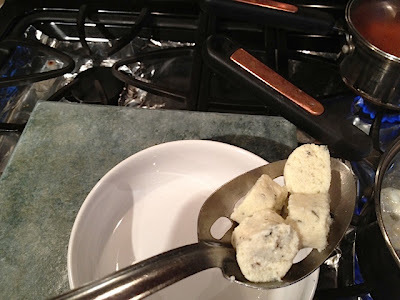 Coconut flour is very absorbent, so make sure you mix it for 2 or 3 minutes first and allow it to thicken before deciding to add more, otherwise your gnocchi will fall apart because they will be too dry. Unlike with regular flour, you can't over-mix this dough. To begin with it will seem very wet, but as you gradually keep mixing it will thicken up. Once it gets to this stage where it's starting to form a ball, then you know it's ready. 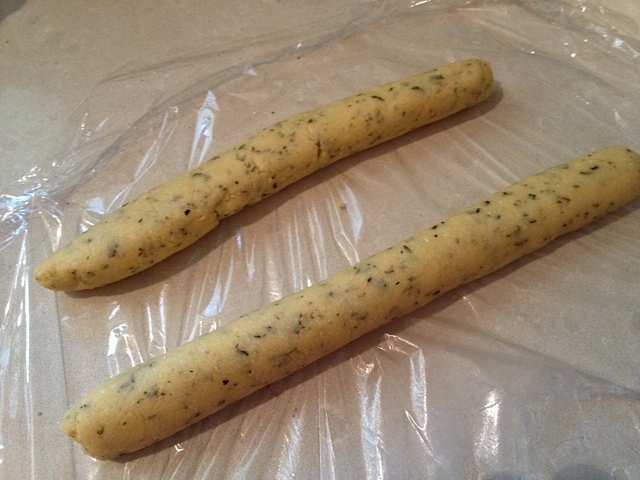 Working with a small portion at a time, roll the dough into 2 long sausage shapes. Wrap up with the clingfilm and place in the refrigerator. Chill the dough for a minimum of 30 minutes. This step is very important. Do NOT treat these like regular wheat flour gnocchi you can buy in a bag. They need to be cold to stick together. 30 minutes is the minimum and longer is better. I usually make mine in the morning and chill until the evening, however in this example I only chilled them for an hour and they still worked well. Also, once you take them out to cook them, make sure you use them right away. They need to still be cold when they hit the water. The easiest way is to just slice and cook, and for this you need to chill the dough. But if you are prepared to do a bit more work, you can cook them right away without chilling. 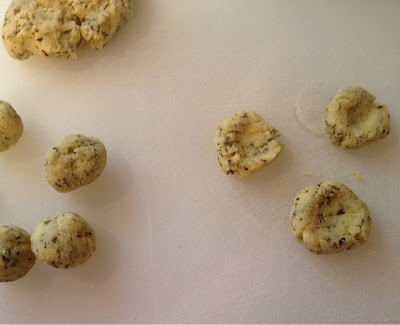 I was asked to make gnocchi tonight and I didn't have time to chill the dough, so I just rolled it into small balls (about 1/2 inch), flattened them a bit so they weren't too thick. You have to do this carefully because they do tend to fall apart a bit, but the dough should be sticky enough to hold. Once I formed them I cooked them right away and it worked perfectly. 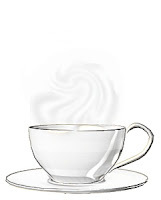 Fill a saucepan with water, sprinkle in a little salt, and bring to a roaring boil. Meanwhile you can also put your sauce on to heat. 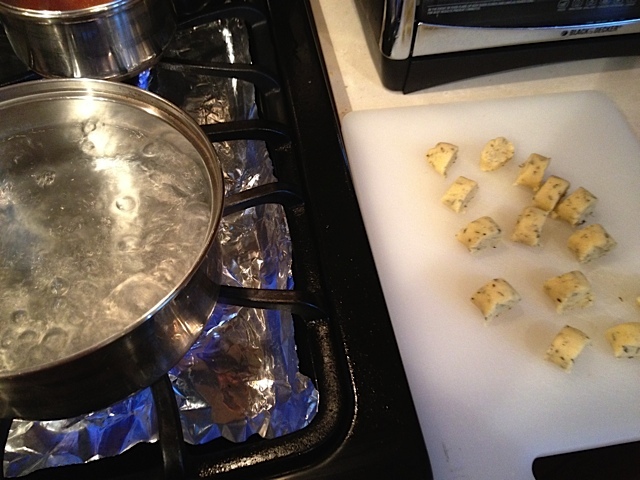 Place the pieces into the boiling water, two or three at a time so they don't stick together. (Depending on the size of your pot you will probably need to cook these in two batches.) 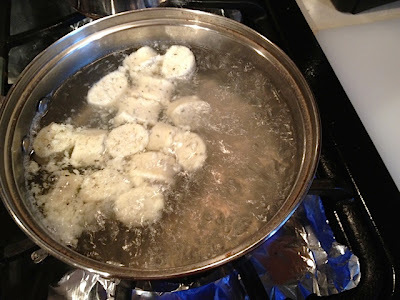 When you first put the gnocchi into the water they will sink, but once they are cooked they will rise to the top. I find mine cook quite quickly. While they are cooking, do NOT stir them. Coconut flour gnocchi are a lot more delicate than the ones made out of wheat. Just leave them to cook. Once the first pieces are cooked, take out the remaining dough, cut it and cook as above until all gnocchi are cooked. As you can see in the photo, they will look like little dumplings. 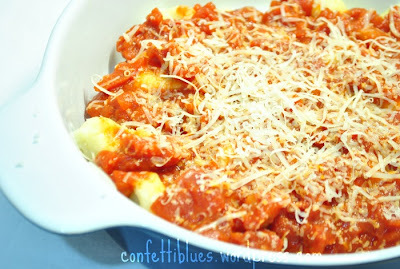 Put your cooked gnocchi into a bowl and cover with sauce. You can also add some chopped fresh basil and a bit more grated parmesan. This will serve 3 or 4 people as a side dish with grilled chicken or meat. Or you can have it as a meal for one as I did. 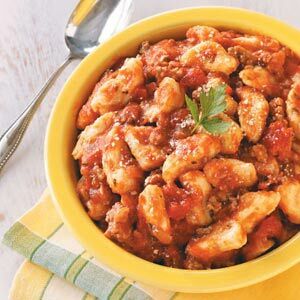 These gnocchi are very light, and after a meal of these you won't have that stuffed feeling you can often get after a regular pasta meal. I tried making these just now and the little pieces completely fell apart after about 30 seconds in the water, like egg drop soup. What gives? I followed the recipe exactly. Hi Hilary. Sorry to hear these didn't work for you. The first thing I can think of is did you use large eggs? 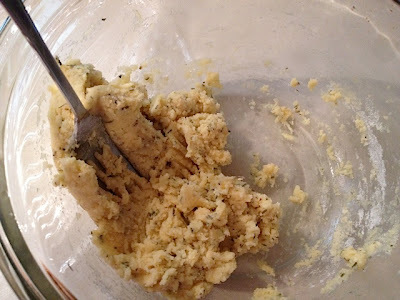 I use large eggs in all my recipes, but because even these can differ in size, if your dough seems crumbly rather than like normal dough then you might need to add an extra egg. The egg is what binds the gnocchi together, and since coconut flour absorbs a lot of liquid it's important to make sure you have enough. Also, the chilling time is very important. You have to make sure that the dough is well chilled, so you need to refrigerate AT LEAST 30 minutes, and longer is better. I usually make mine in the morning and use it in the evening. Also, once you take it out don't allow a long period of time to lapse before you cook them. They still need to be cold. 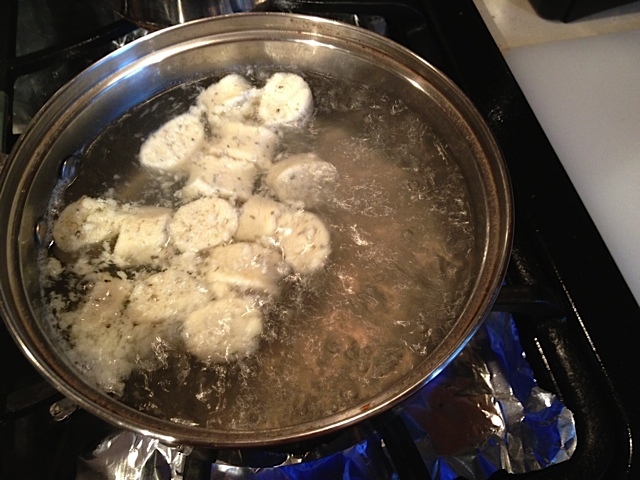 Lastly, when you first put your gnocchi into the boiling water they will sink, but once they are cooked they will float to the top. When that happens take them out right away. Thanks for the feedback. I will add this information to the instructions and hopefully it will help others who might have had the same problem you did. I hope you try them again and have better luck the next time. Thanks for the reply. I used large eggs. The dough seems too wet more than anything. I let the dough chill for another 10 hours or so and tried cooking again. The dough thickened slightly but it's still quite wet and sticky, and falls apart in the water as before. I'm going to try upping the coconut flour and cooking again. I really want these to work! 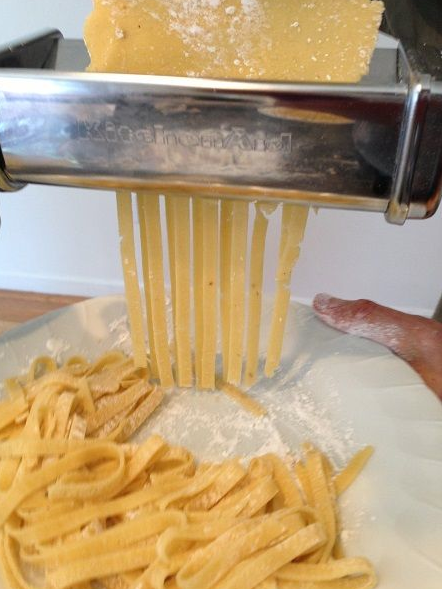 I miss pasta sometimes. 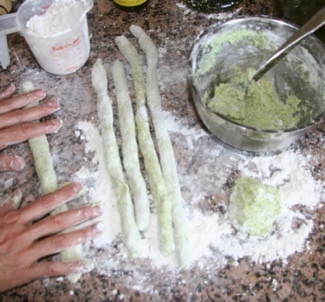 I found that once it starts rolling boil i turn heat down a smidge and then using wire strainer I place the gnocci in that first and dip into the hot water so they dont get bounced around and they fell appart less cooked just as fast. 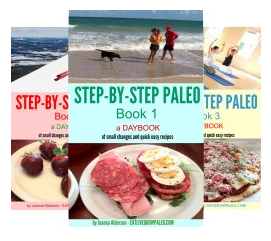 I am just starting to investigate going paleo! 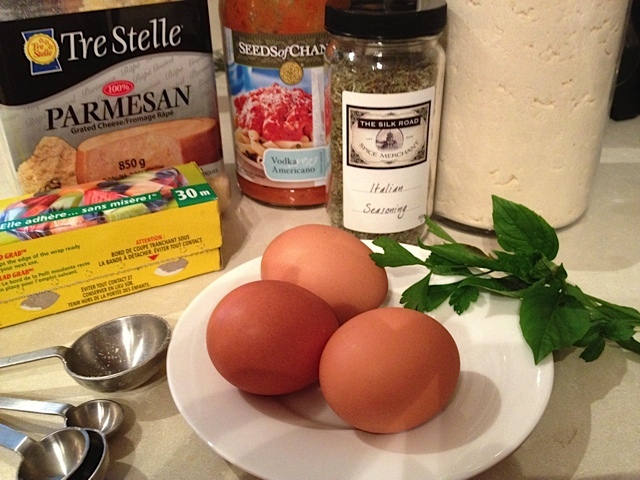 Made this recipe the other day using jumbo eggs! YIKES! It was very wet and did not have more coconut flour. I used almond flour to thicken it further. It worked out GREAT! I JUST BOILED THEM A BIT LONGER.I loved them. Now I cannot wait to try it using just the coconut flour! Hello! 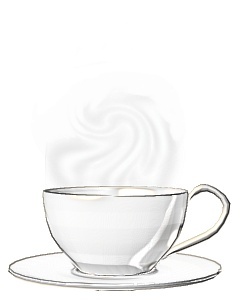 I made this yesterday, and cooked them up today. They came together great, and I kept them in the fridge overnight. Boiled for 4 minutes, some "stuff" flaked into the water but they did not disintegrate or fall apart at all. The only problem is, I am so sad to say, I just didn't like them. They had a very cakey texture, and not a coconut flavor, but the only taste I could taste was the cheese & italian seasonings. Maybe it's just me, but they are not good enough to consider cooking again, even as easy as they are. I guess there really is no such thing as a low-carb pasta, lol. We're making these tonight! In the fridge now. I followed all the directions and the consistency seemed good, though I did have to wrap in the saran wrap to get it to roll into logs without falling apart. hopefully they still hold up which boiling! These worked out wonderfully! Great flavor! A few fell apart in the water, but not many and not horribly. I also heated them in the microwave a bit after boiling them to "set" their shape by cooking them more outside of the water. This worked well. Baby loved them (that's who I was making them for) and i tried one and it was great! We ate them plain, but i think with some tomato sauce these wold be PERFECT. I might also try doing a mix of coconut and tapioca flour next time instead of straight coconut flour. At any rate, these worked out wonderfully and we'll be making them again. Thanks! I am wondering if after boiling them frying them a bit in a sprayed pan would crisp them up and they would lose that "cakey" texture and lack of taste some have complained about??? Have you ever done this?